At the start of the academic year classes from Year 2 to 6 elected two school council representatives, one girl and one boy. The School Council, which is led by Miss Pinkess, meets on a fortnightly basis. Each class has a school council book in which they can record any notes from the meetings. Items discussed in school council meetings are then presented to the remainder of the student body during whole class PSHE and circle time lessons. 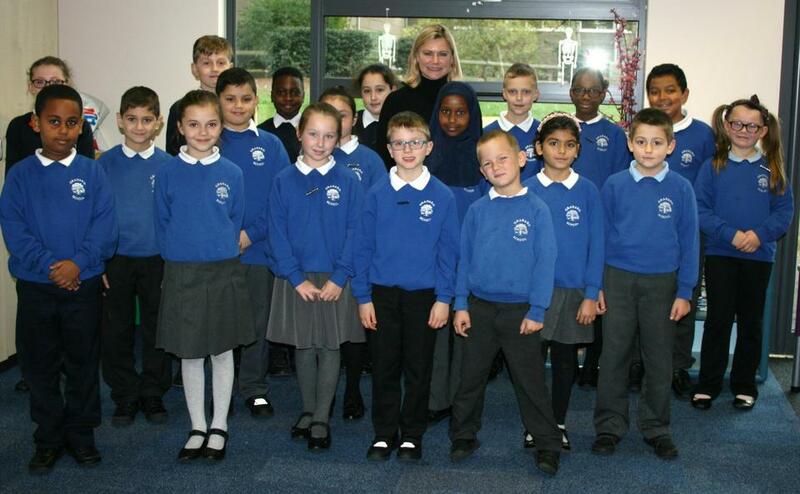 Today Justine Greening, Secretary of State for Education and MP for Putney, Roehampton and Southfields, visited Granard Primary School. She toured the school, visited classrooms, watched a Year 4 brass lesson and spent some time with the school council. Justine thoroughly enjoyed her meeting with the school council and told the children that they were very lucky to be part of such an important group, as when she was at school there was no such thing as a school council. The school councillors spoke confidently about their role within the school and promoted their commitment to improving the school as guided by the pupil body. Ms Greening was most impressed by the children's dedicated attitude towards the school and concluded her meeting by wishing them well in all their future projects.